Flower shows may be waning in popularity but a simple way to build the next generation of gardeners is to involve kids early! 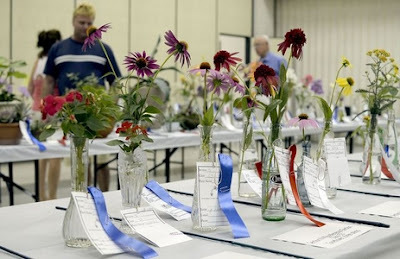 The Retro Flower Show in North Carolina experienced an increase in competition entries after adding three new kid-friendly categories to a new "youth division:" terrariums, single flowers and dish gardens. What can kids learn from making terrariums? Terrariums are a great hands-on learning tool for children as they illustrate both plant life cycles and the water cycle. Don't forget that this is a great summer project!